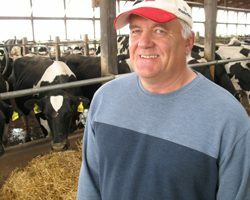 I’m on a dairy farm with John Vrieze and his daughter Brittany. Oh, and some cows too. could use the least electricity. Vrieze was willing to go to extreme measures. Today, Vrieze isn’t just trying to save energy. He’s trying to create it. Farmers are required to store that manure in a big pool-like structure called a lagoon. John Vrieze covers his up with a giant tarp. things because they can turn manure into energy. And it turns out — the reason it’s called a digester — is a farm thing. Another option is to convert it to electricity. But in the U.S., electricity is cheap. collects is just being burned off into the air. vegetables and herbs in the winter. He says he’ll power it with energy from the digester. plants to clean the manure water. says the digester makes it more manageable. for the cows. In the summer, it’s also used for another purpose. to be frugal and environmental at the same time. 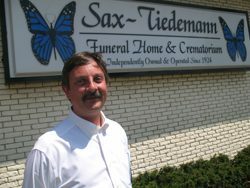 Steve Dawson is an undertaker who lives above his funeral home business. Dawson takes the remains over to a machine that sifts through what’s left. can nearby. They get recycled. cans, newspapers and other household items. On the job, he tries to be green too. 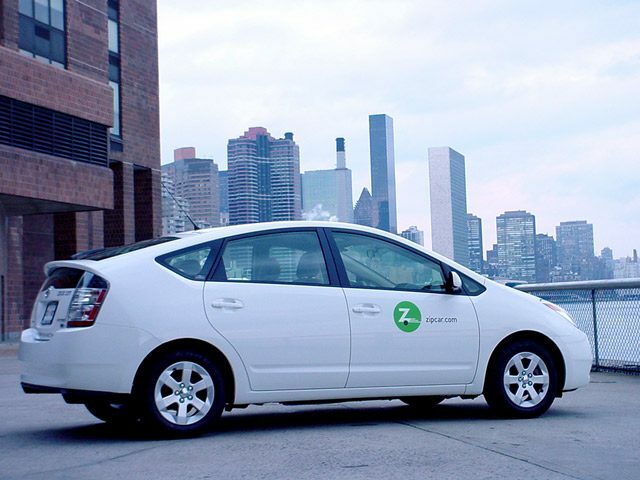 has environmental downsides. Many older people have mercury dental fillings. atmosphere. Heating up the cremation furnace also eats up energy. to want green choices, even when buying death products. to buy a new machine. numbers, Dawson expects more of them to choose green burial. areas, many people don’t have garbage pickup. Robert Olsen lives out in the country. He used to burn his garbage. But not any more. 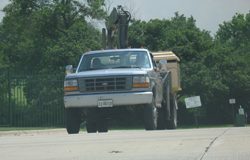 On this windy morning, Olsen has driven his pickup into town to dump his trash. He grabs the blue plastic bin from the back of his pickup and dumps it into a green Dumpster. Olsen runs the environmental office here in Lincoln County, Minnesota. It was his idea to set-up nine Dumpsters throughout this sparsely populated county. He did it because he knows that burning garbage pollutes. That’s because a lot of trash — including even plain old paper — contains chlorine that produce dioxins when burned at home. Plastic is even worse. Mark Rust is a solid waste expert with the Minnesota Pollution Control Agency. Smoke from burn barrels and fire pits are now the leading source of dioxins in air pollution. Some studies have connected dioxins to cancer. Burning garbage is especially bad because there are no anti-pollution scrubbers on do-it-yourself burners. Most states still allow people living in the country to burn their garbage. In Minnesota, only farmers and those without access to affordable garbage pickup can burn. A 2005 survey found that about half of the people living in rural Minnesota burn at least occasionally. Which is why the state offered rural counties some start up money to get people to burn less. Rural residents in Lincoln County, Minnesota have had access to drop-off sites for seven months now. When the program started, haulers took away about 8 tons of trash every month. Now it’s up to 15 tons. 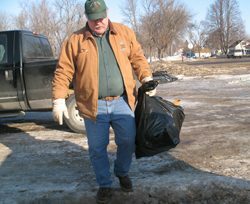 Back at one of the county’s drop-off sites, Clarence Lietz is getting of his Buick and grabbing newspapers for the nearby recycling bin. What doesn’t get recycled, gets burned, he says. Another elderly customer — she didn’t want her name used — says she burns junk mail and envelopes at home. “Papers. That’s all you can burn. I don’t burn garbage. 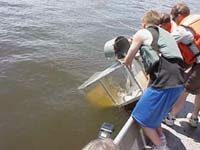 Biologists release bass, gills laced with Higgin's Eye Pearly Mussel larvae, into the Mississippi River. Photo courtesy of the Minnesota Department of Natural Resources. 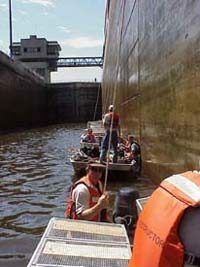 Biologists lock through a dam on the Mississippi River. 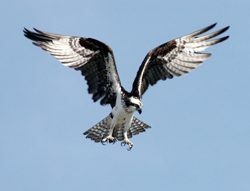 Photo courtesy of the Minnesota Department of Natural Resources. location to boost the population of an endangered species. just come up from the bottom of the river with a few mussel specimens. Just two decades ago, this part of the river suffered from sewage runoff. The river is cleaner now and some mussels have returned. But not the Higgin’s Eye. And that has Roger Gordon worried. He’s a biologist with the U.S. Fish and Wildlife Service. For the past decade or so, it’s been the zebra mussel that’s been hitting the Higgin’s Eye. But the zebra mussel hasn’t made it to this part of the river. That’s why biologists are on a small flotilla of boats on this morning with 800 large-mouth bass. The bass and the Higgin’s Eye have a strong connection. Attached to the gills of those bass are thousands of Higgin’s Eye larvae. The bass are put in cages so they don’t swim somewhere that’s not a good home for the Higgin’s Eye. In the wild, adult females mussels shoot embryos at unsuspecting fish swimming overhead. But the Higgin’s Eye population is too low to leave to chance. larvae attached to their gills. just a metal pole barn that biologists built themselves. 12,000 mussel-rich fish to rivers in Wisconsin, Illinois, Iowa and Minnesota. mussel species like the Higgin’s Eye, he’s also a bit wistful. home. For the Great Lakes Radio Consortium, I’m Todd Melby. Cracking Down on the E.L.F. 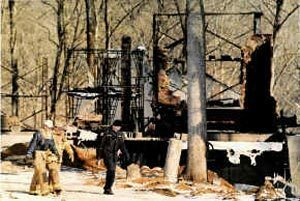 The Earth Liberation Front claimed responsibility for burning this house under construction near Bloomington, Indiana in 1999. Photo courtesy Herald-Times, by Jeremy Hogan. On a cold, January night in St. Paul, Minnesota, one or more members of the Earth Liberation Front set fire to a construction trailer parked on the University of Minnesota campus. Flames quickly spread to an adjacent building, causing $40,000 in damages. But while the Crop Research Building burst into flames, the real target was the university’s proposed Microbial and Genomics building – a $20 million undertaking. The attack wasn’t a surprise to Peggy Leppick. She’s a state representative, who chairs the Higher Education Committee in the Minnesota House of Representatives. That’s why university officials are asking the Legislature for nearly $4 million to beef up security. They’ve also ratcheted up the rhetoric. University of Minnesota president Mark Yudolf has no qualms about using the word “terrorist” to describe E.L.F. members who’ve attacked his campus more than once. But attaching labels to actions doesn’t come so easily for others. There’s a fine distinction for some between terrorist and protesters. Katherine Sikkink is a political science professor at the University of Minnesota. Not surprisingly, Leslie James Pickering, a spokesman with the E.L.F. press office in Portland, Oregon, agrees with Sikkink’s characterization. That code, Pickering says, ensures that human life will be protected. When E.L.F. activists set fire to a building, they say it’s searched before flames engulf the facility. A top F.B.I. official has called E.L.F. “the most active eco-terrorist” group in the United States. A Congressional Committee recently subpoenaed Leslie James Pickering’s predecessor in the E.L.F press office to testify. When committee members weren’t satisfied with his answers, they threatened him with contempt of Congress. And now U.S. Congressman Gil Gutknecht, a Minnesota Republican, is calling for the death penalty if politically-motivated arsons or other actions result in a fatality. Gutknecht also wants the federal government to establish an “eco-terrorism” clearinghouse so law enforcement officials can do a better job of tracking environmental activists involved in illegal activity. These proposals have drawn the ire of Chuck Samuelson, the executive director of the Minnesota Civil Liberties Union. Samuelson says Gutknecht’s death penalty proposal won’t stop politically-motivated murders. And he’s also opposed to a federal clearinghouse that tracks E.L.F. members, saying it’s likely to be secret. Although Samuelson is quick to criticize the government’s proposed crackdown on E.L.F., he’s no defender of the group. He scoffs at the E.L.F. code, saying no matter their ‘no-harm-to-human-life’ intent, it’s only a matter of time before someone is killed. Professor Sikkink also questions the group’s tactics. 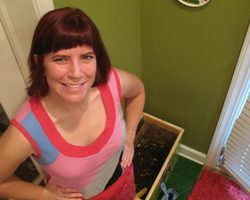 While some protest movements have historically engaged in property damage to score political points, she says it comes with a high price tag. Despite the increased pressure on E.L.F to halt the violence, Leslie James Pickering, the group’s spokesman, says he doesn’t expect its members to change its ways anytime soon. For the Great Lakes Radio Consortium, I’m Todd Melby in Minneapolis.